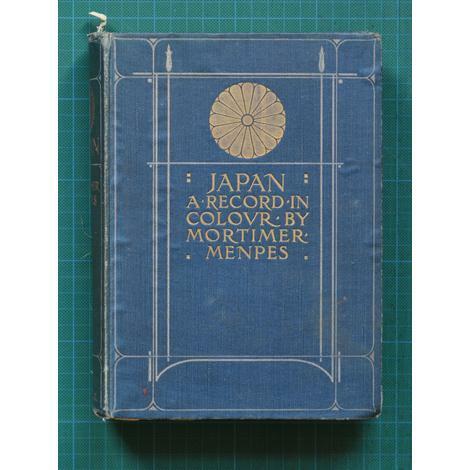 In the book, Japan, a Record in Colour, which Mortimer Menpes produced with his daughter, Dorothy, and published in 1901, we learn about Menpes' delight in what he saw and experienced. 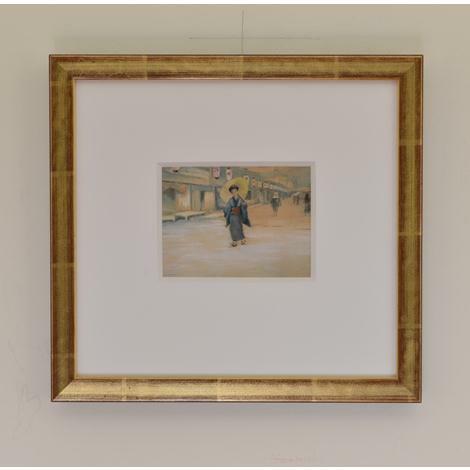 Menpes' eye for harmony and composition had been informed by his years working closely with Whistler - and, of course, by the contemporary fashion for collecting Japanese artefacts, in which both Whistler and Menpes indulged. 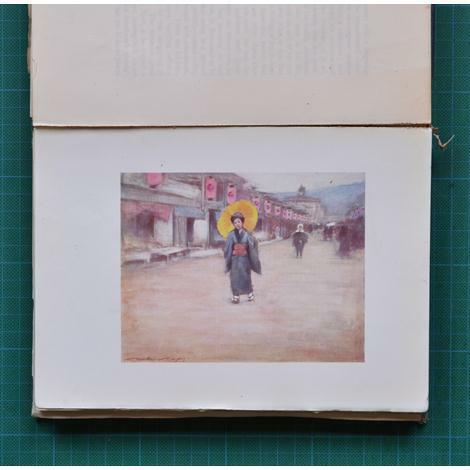 The poise with which this Japanese woman is placed, in the centre of the little picture, with the lower half of the image being filled with an empty, dirt road, is exquisite. The picture was reproduced facing page 82, in the 1901 Japan (shown here for reference).